If you’ve used Instagram even once or twice, you more than likely saw at least one picture of someone’s pet. The service is for sharing photos of anything you want to share, so it’s no shock that man’s best friend is often seen on the most popular pics. I’m guilty of it, as I kind of think my dogs are cute as any puppy parent would. With any popular platform, it’s bound to spawn off some copycats, or in this case, copydogs. 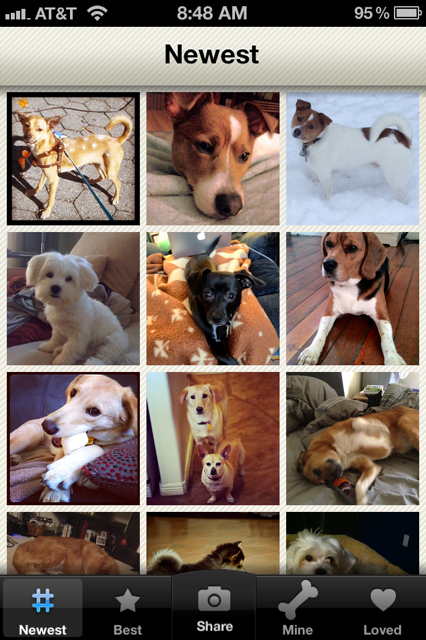 Dogsly is a photo sharing app made specifically for sharing pics of the dogs in your life. Even if you don’t have a dog but really like them, the service is fun to use. 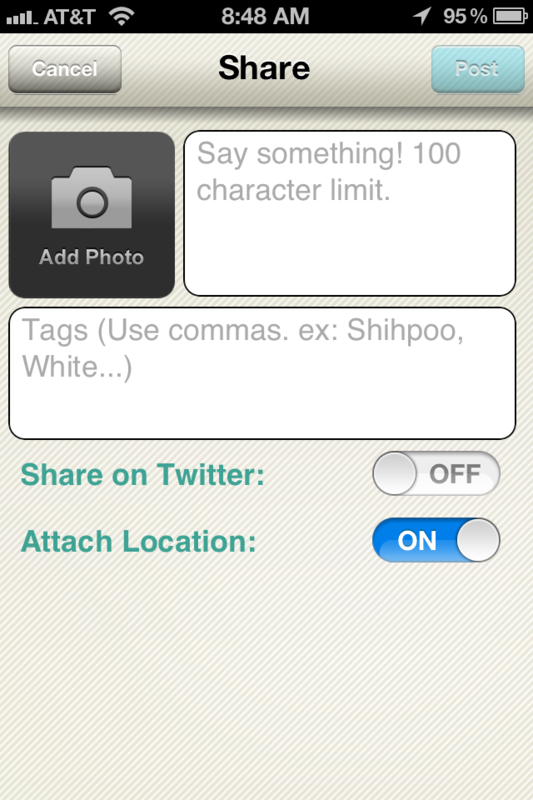 The iOS app lets you share pics, see a stream of the entire community and share them with your friends on Twitter. Why didn’t they call it Doggygram? 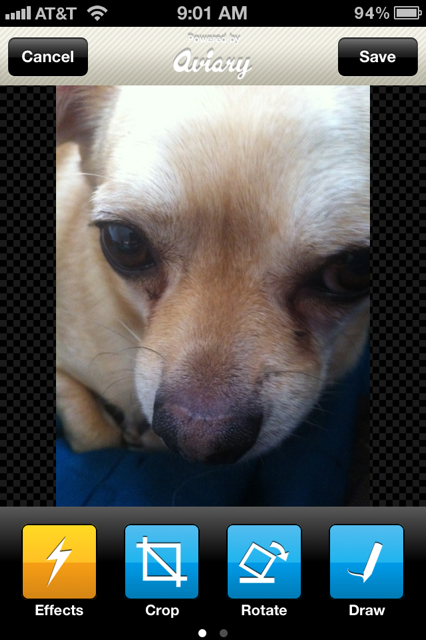 I found this app when a friend of mine tweeted a picture of his pup. I clicked the link and saw the site and instantly said out loud “what the heck took them so long?”. It’s a brilliant idea that caters directly to dog lovers and if the app can build a sizable following, it could actually make some money too by providing deals that focus on my pet. Upon downloading the app, I immediately felt at home, as most of the design is very similar to Instagram and other photo sharing apps. Share a pic, comment on others, favorite a pic (which they call “love”) and share them. One smart feature that Instagram doesn’t have is that there’s a retweet button with every pic, which allows you to share other photos on the service. That’s a nice addition. 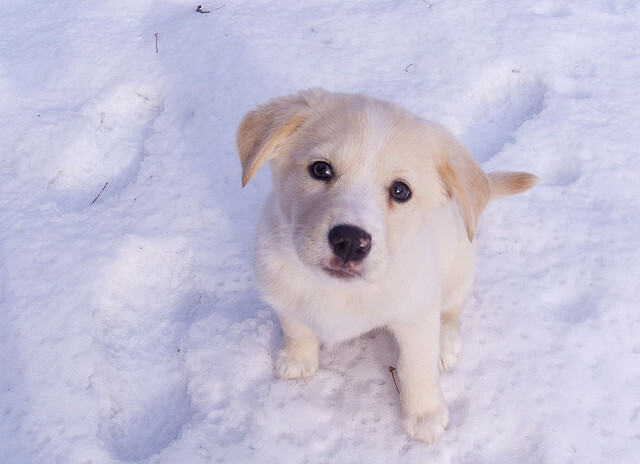 You can take a photo or grab one from your camera roll, and the app has brilliantly leveraged photo editing service Aviary to give you tools to alter your puppy pics. With the built in Aviary tools, you can add effects, crop, or even draw on the picture. If you’re a dog owner, this app is an absolute must have. Even though I tend to get a lot of likes and comments on Instagram when I post a picture of one of my pets, it’s different to be in an app among others that are just like you. And by just like you, I mean silly enough to download and use an app that’s full of people taking pictures of their dogs.